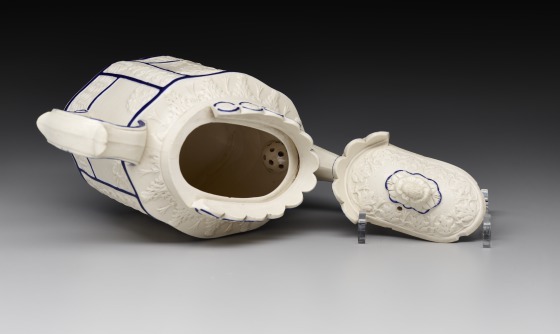 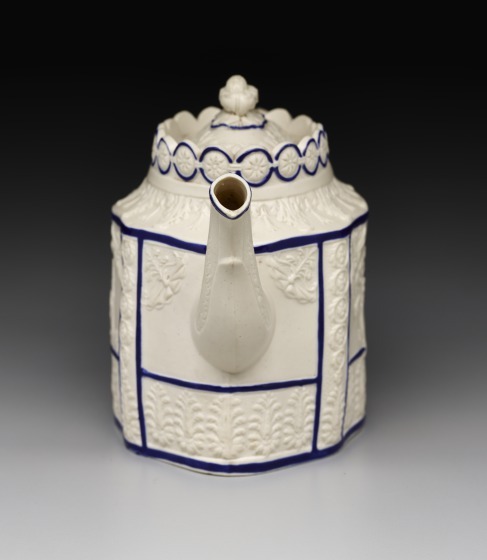 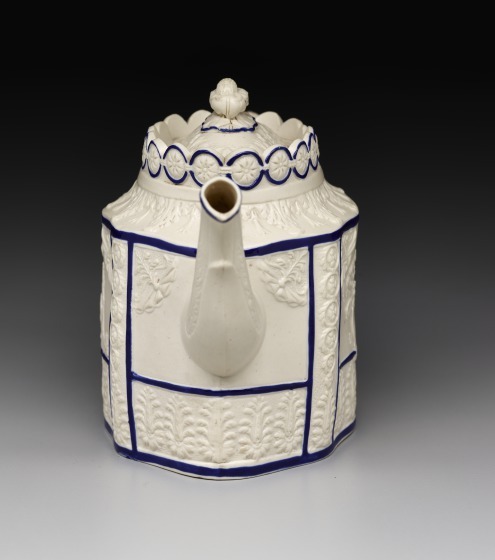 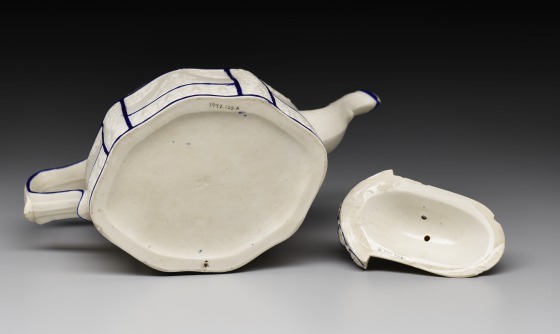 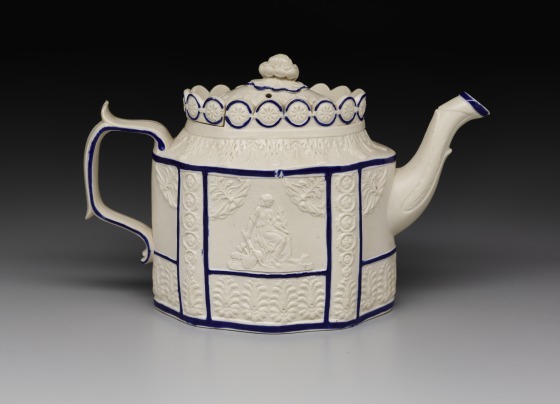 White stoneware, mainly jugs and teapots such as this example, were made at Castleford, near Leeds in England during the first quarter of the nineteenth century. 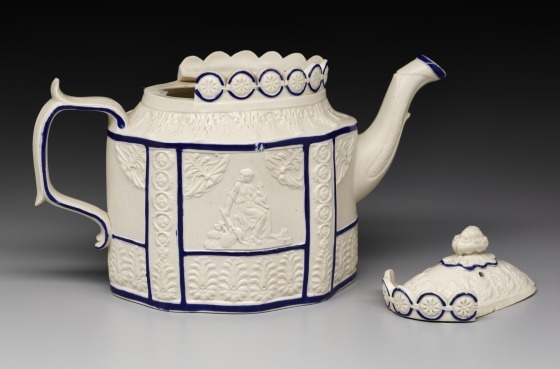 These wares were often decorated in relief with slip-cast ornament in a manner similar to Wedgwood's jasperware. 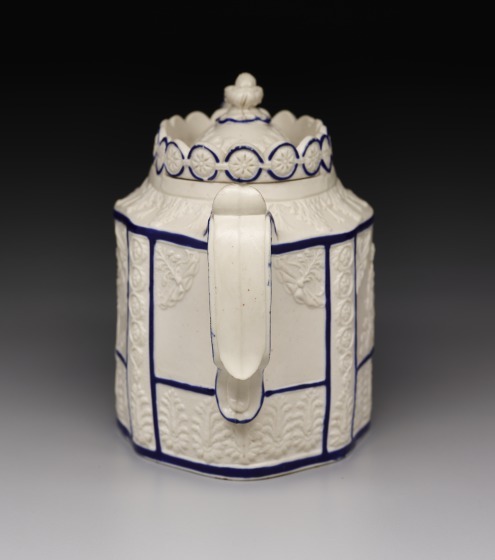 Usually a blue enamel line border is present on the body, which is translucent and not unlike Parian porcelain. 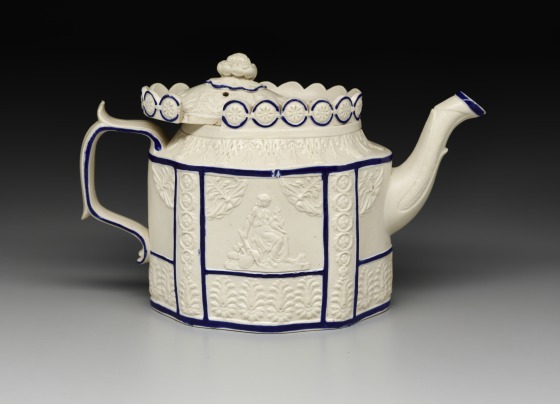 The firm of David Dunderdale and Co. made most of these Castleford wares, but other potteries also made this type of ware. 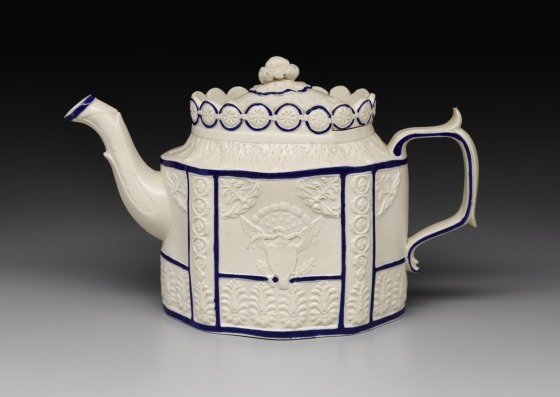 A popular form was the teapot, the design of which resembles contemporary octagonal silver models. 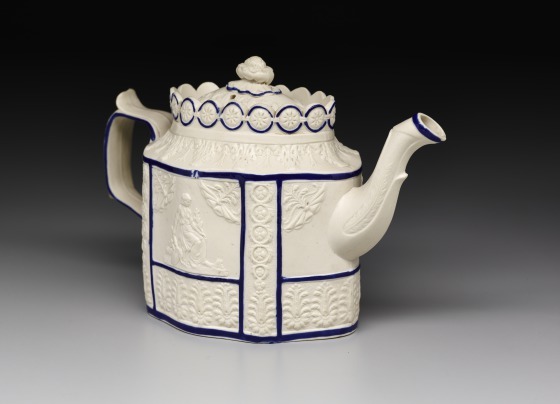 George Savage and Harold Newman, An Illustrated Dictionary of Ceramics, (London: Thames and Hudson, 1989), 66.